Windows 10 comes with a new app, Photos. It adds a new context menu item 'Edit With Photos' which opens your images in the app. If you don’t plan to use this option and want to declutter the right-click context menu, here is how to remove it. Since Windows Movie Maker was officially discontinued at the beginning of 2017, for those who is on Windows 10 Microsoft has finally provided an alternative solution. Windows 10 Photos app lets you to combine and merge videos and save the result to a new file. Since Windows Movie Maker was officially discontinued at the beginning of 2017, for those who is on Windows 10 Microsoft has finally provided an alternative solution. 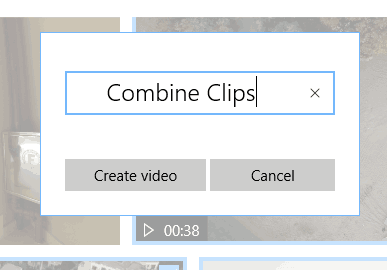 Windows 10 Photos app lets you trim videos and save the selected portion of the video clip to a new file. With default settings, the Photos app in Windows 10 Fall Creators Update is set to view next or previous item with the mouse scroll wheel. 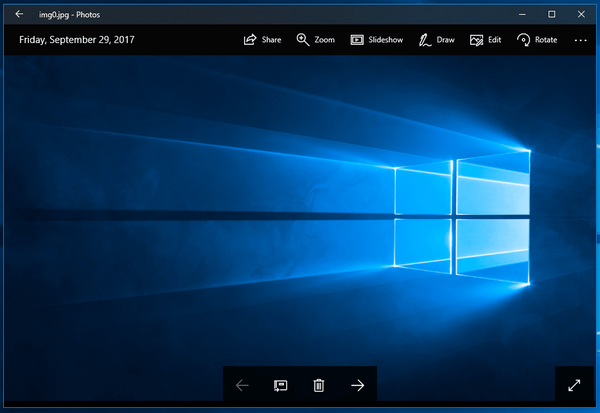 In previous Windows versions, Windows Photo Viewer was configured to zoom in or out the opened image. Even in early builds of Windows 10, Photos included the behavior of scrolling prev/next photos with the scroll wheel. If you are not happy with this change, you can change the Mouse wheel action back to zoom in or out the current picture.